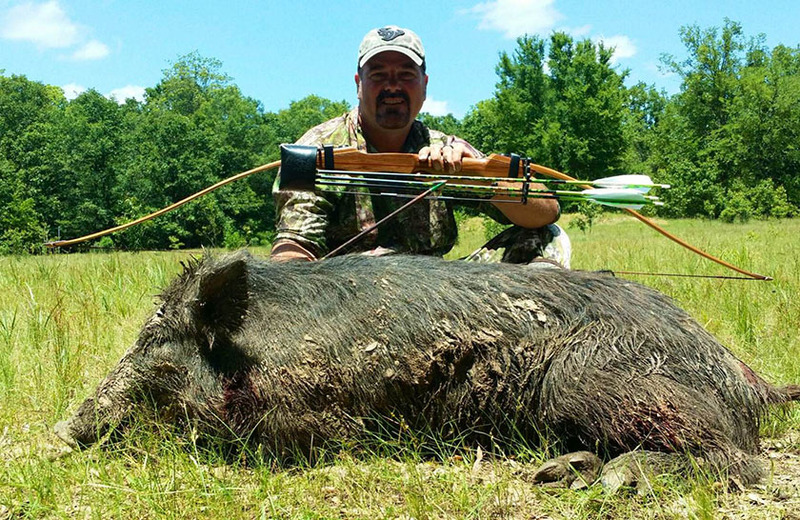 Mike Ray, hog harvested 5-21-2016 in Red River County, Texas with Bob Sarrels Longbow and two Blade Schmeisser broadhead. 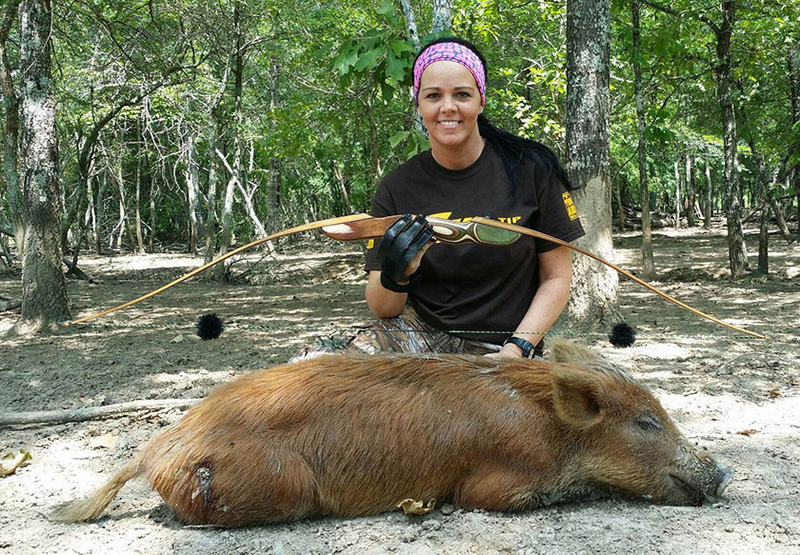 Heather Ray, two hogs harvested 5-22-2016 with Bob Sarrels Longbow. Congrats guys! Two beautiful 3-Piece Takedown Longbows - Bob!